Riding for Adults Be it you’re coming back from a break bringing up the kids or this is your first time experiencing horse riding, we have something for you. Whatever reason you are coming to us for horse riding lessons, we’ve got the perfect and safe environment for you to learn in. Riding for Children The experience of horses is something your children will never forget. A ride on a pony down the lane, hearing the clip clop of the hooves and the smell of the leather saddle and horse opens kids up to a new world. There are so many reasons children are drawn to horse riding and for many even the time spent at the yard grooming is a world away from their every day life. 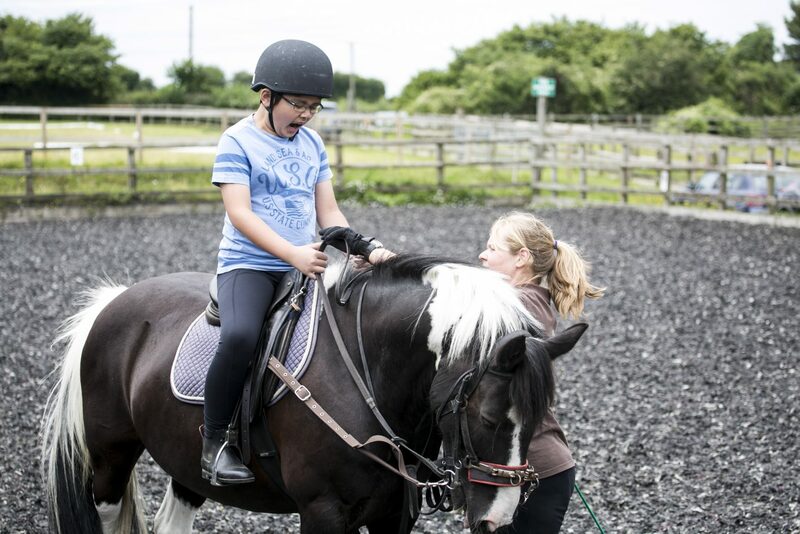 Riding for the Disabled A challenge many of us will never experience could be as simple of holding your own head up unaided, but with the help of experienced RDA helpers many disabled people learn to ride and in some cases use it to help make their conditions more manageable. 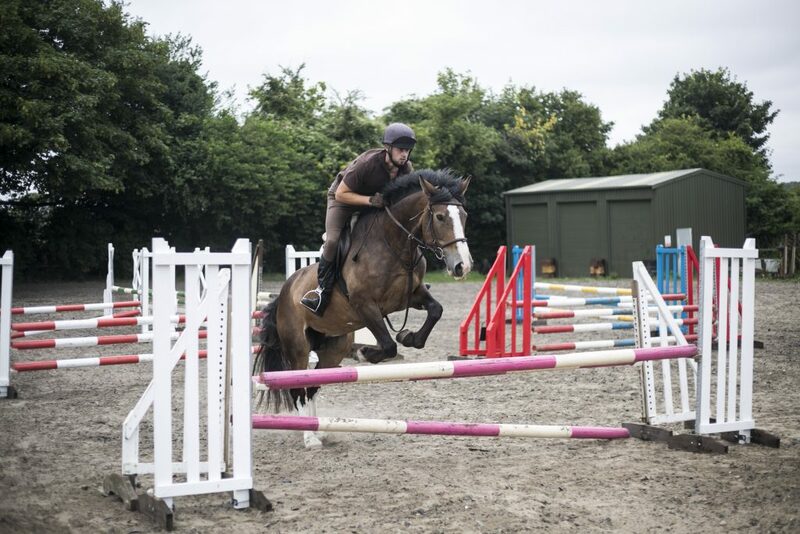 You’ll see a level of appreciation and a mutual connection from horse to rider like no other, as the horse recognises that the rider may be different in some way. A care given from an animal that has no agenda! If you’ve never ridden before then we’ll start off real slow and take you step by step through the basics. 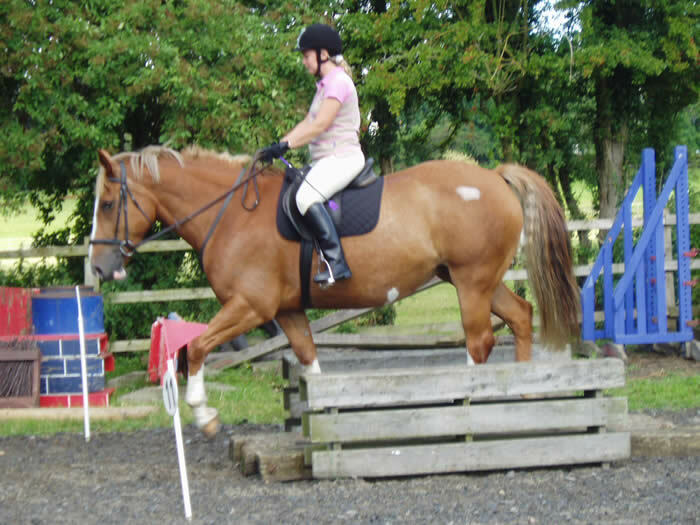 Our aim is to give you the very best introduction to riding guaranteeing your progress is safe and positive. As with anything, your progress will be far quicker if the fundamentals are well rooted and that is our ultimate aim. 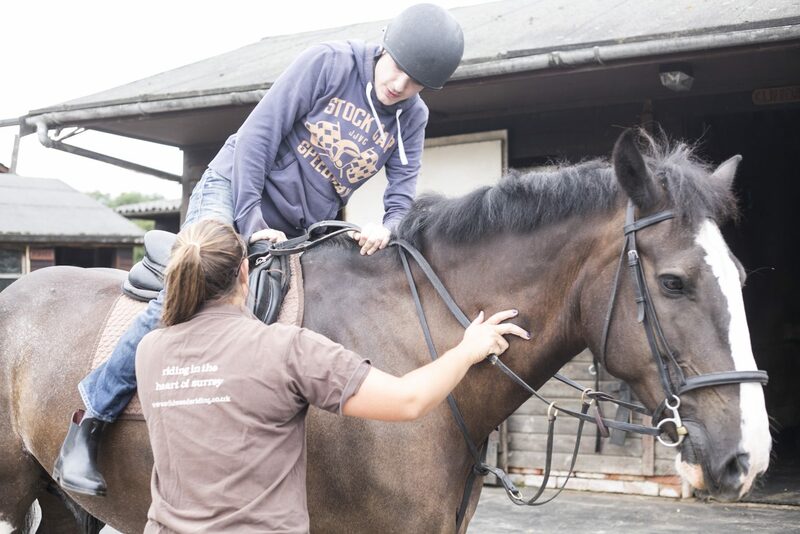 Once we’ve taught you the basics of horse control, handling, sensitivity and basic gaits we’re ready to push a bit quicker and focus on the key areas. For some of you the big step may be to canter on the heath, whilst others would love to jump a horse. Whatever it is that you want to do we will help you get there safely. For us the key here is having the right horses for the job that can help better your experience, but as with our mechanical horse we have other ways to impart those really important nuggets of information. It’s always at the back of any budding riders mind, “How can I get better?” – but there is no single or simple answer. For us it is all about training and time in the saddle. You need to be putting in the hours and experiencing the horse, not only in the arena, but out on hacks as well. Try and learn how a horse thinks and how they see you, the rider.